We learn early in life that money isn’t everything. 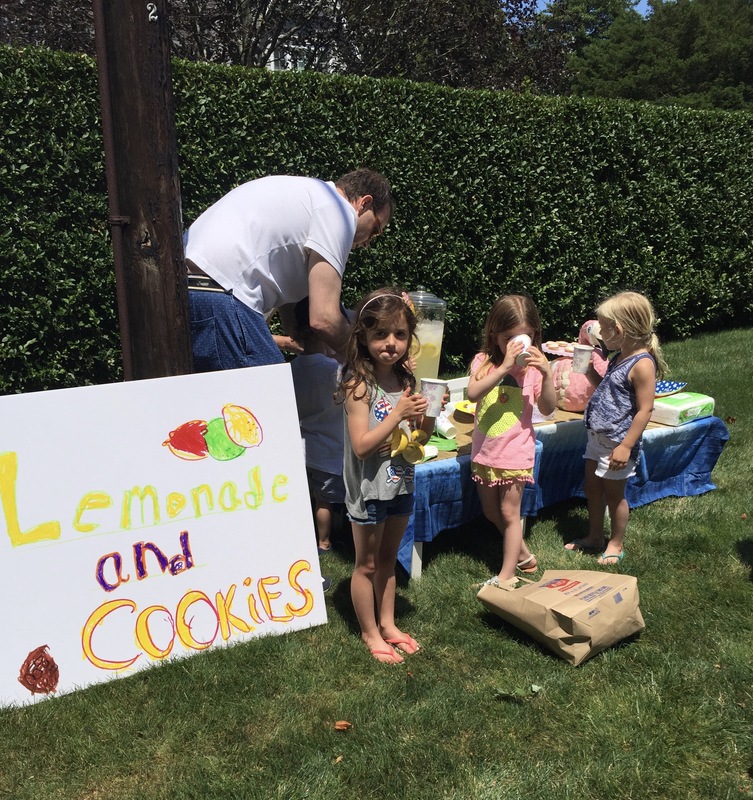 My 4 year old niece, operating her first lemonade stand, gets schooled that kindness is more important than profit. At some point…when we grow up a little bit…we face the reality that money may not be everything…but it is obviously something…and it’s something that we tend to want. Each person searches for balance in the tension between doing good and attaining wealth…and everyone lands somewhere on what seems to be a spectrum with those two goals at opposite ends. Yes, there are plenty of companies that crop up, especially these days, that “do well by doing good” or impact investors that use constructs like “good for me and good for the world”…but almost always there feels to be some level of compromise where they are still picking some place on the line that is not a true maximization of both doing good and getting rich simultaneously. There are many reasons why these two goals sit so far apart on the spectrum, but recently i’ve been thinking a lot about the societal, and more importantly government issued structural paradigms that we use to organize our work. When I graduated from college with my newfound skills, not only was I choosing a market to enter, i was choosing a structure to work in, and my choice would dictate where I sat on this spectrum. Either, I was interested in non-profit work, in which case I was looking for NGOs (non governmental ogranizations like the Red Cross, etc. ), or I was looking for corporations, or partnerships, or even government jobs. There was this implicit reality that if I chose NGO to further a cause I’d be forgoing personal wealth, or if I chose a corporate gig I’d be positioning for personal wealth but not advancing causes as deeply as I could. High level, a corporation’s goal is to maximize profits (both for the entity, and in turn for all those that work for it) and an NGO’s goal is to maximize impact toward it’s cause…but what if there was an organization that existed somewhere inbetween…well, it turns out there is! It’s called a B-Corp, and it’s become quite popular for mission driven companies like say Warby Parker or Etsy, to organize, in the eyes of the government and in turn their employees, shareholders, etc…around principles that optimize for something inbetween profit and impact. In this structure, a graduating senior from college can perhaps escape the tension between wealth creation and impact…but in doing so, i think still chooses something of a compromise as opposed to a rocket ship toward either goal. I’ve been sketching out designs for protocols focussed on the organization and administration of mission/ideology driven work that seek to bend the norms of wealth creation and impact…they tend to center around issuing coin for early contribution that appreciates in value with the fundraising success of the project at hand…and they vary in how much of the administrative functions of a traditional org they take on, vs very simple foundational protocol mechanics that can be the infra for some of these upstack functions, but I haven’t landed on a super clean design yet. I’ve also been thinking about the role of that coin as a bridge to the needs and use cases of participants in the capital markets…also bending typical optimizations found in that space, and potentially introducing unique mechanics again at the protocol layer that would feel like new financial products from far away that specifically interact with organizations running on the afforementioned protocol…but again…sketches…not bulletproof thoughts.